Lately my friend was visited to me during my duty in Camella at SM office Lucena City. 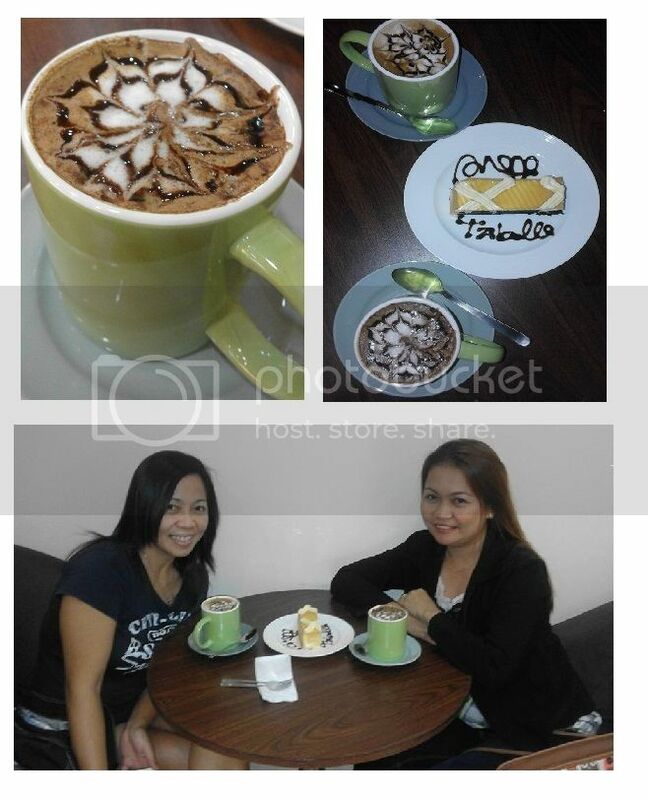 Just because we missed each other she was invited me to eat snack at Tabelle cafe here at SM We ordered two cappuccino for the cost of 85 pesos and one slice of cake caramel flavor for the cost of 95 pesos. Off course we don’t forget to took a photo.